Marilyn Sue (Huffman) Taylor, of Rolla, Missouri passed away Monday, October 15, 2018 at the age of 79. She was born on March 3, 1939 in Rolla, Missouri to the late Lester and Ethel (Mansbridge) Huffman. 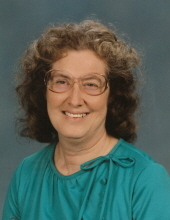 Marilyn attended grade and high school at Rolla and graduated in 1957. She worked in the family business her parents established as the Huffman Trailer Courts and Sales in 1948. Marilyn married Waymon Max Taylor in 1963 in Vichy, MO and to this union three children were born. Marilyn and Waymon were dedicated servants in awakening people all around them to the truths of our Almighty Creator’s word to come out of the deception of this worldly system. They both had moral standards and a love for his people. Their goal was to awaken his people to serve the Almighty with the Hebrew names not the Greek; the creator of life instead of the lust of the flesh and eyes and pride of life to allow the wonderful Savior to be our daily instructor to walk with him on the narrow path of salvation into his kingdom of eternal life instead of the broad road of destruction and deceptive ways. Clean dietary law; His called out Feast days that show the story of Salvation. They hosted gatherings and were great in assistance, an encouragement to all they came in contact with. Everyone has enjoyed listening and singing with her playing the piano and accordion. She was preceded in death by her husband, Waymon Max Taylor; parents, Lester and Ethel (Mansbridge) Huffman; son, Kevin Michael Taylor; daughter Lorea Maxine; a sister, Melody Ann (Huffman) Allen Pratt and one brother, Floyd Huffman. Surviving relatives are her loving daughter, Melissa G. Taylor; nephew, Shawn Allen and his son Cameron Allen; many relatives, many brethren and sisters of the Faith, and many business associates that have become also a family of friends. A funeral service for Marilyn S. Taylor will be conducted at 11 a.m. on Monday, October 22, 2018 at the Null and Son Funeral Home in Rolla. Interment will follow in the Rolla City Cemetery. A visitation for family and friends will be held from 6-8 p.m. on Sunday, October 21 at the funeral home. To send flowers or a remembrance gift to the family of Marilyn Sue Taylor, please visit our Tribute Store. "Email Address" would like to share the life celebration of Marilyn Sue Taylor. Click on the "link" to go to share a favorite memory or leave a condolence message for the family.